Being Human Season 4, Episode 10 Preview: What's Wrong With Sally? There are only four episodes left of Being Human, as the series is wrapping up its final season and the writers have thrown a couple of pretty incredible twists into the series as it heads toward its finale. Spoilers if you aren't caught up! The preview for Monday's "Oh Don't You Die For Me" shows some problems between Josh and Nora, possibly involving Josh's wolf issues, a new pack and him getting taken. Meanwhile, Aidan looks like he has a fight on his hands. We'll get to that in a minute. I love the way Sally smiles when she possesses two of those guys. Too funny. And a resourceful way for a ghost to get involved in a fight, though it's a bit reminiscent of Angel Season 5 when Spike helped Angel kill that creepy Hainsley guy. That was kind of a different situation though, but just as funny. 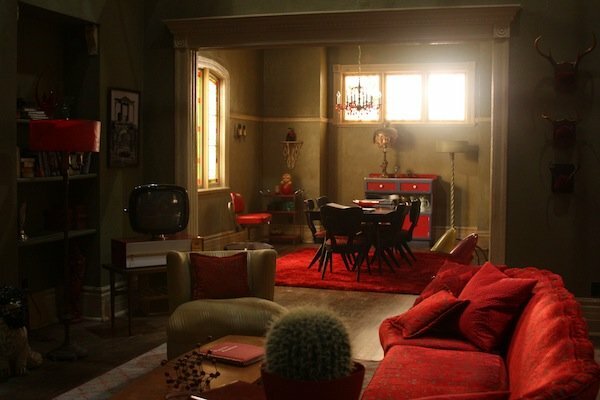 And sure enough, during Sally's alternate timeline trip, the house was decorated with lots of red furnishings. So I'm thinking that's what was being shot when the press was on set. 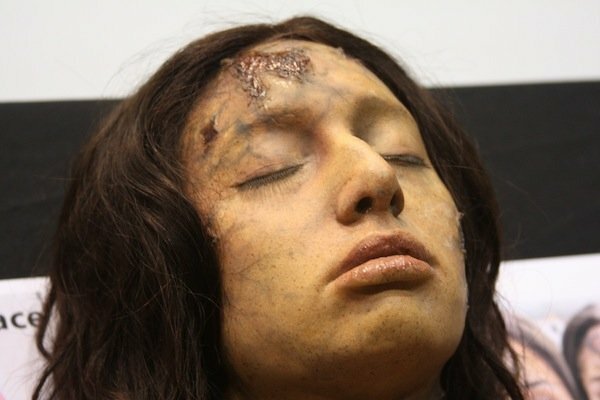 Now, my assumption was that this prop was being used for Sally at the end of Season 3, and that may actually be the case. Because she's wearing the same outfit then and now, it's hard to say. UPDATE: On closer inspection, thanks to a photo posted at TV.com, it looks like the decay situation matches the Season 3 finale Sally after all. So hopefully the prop on set was just something leftover from last season and we won't be seeing her go through all of that all over again. It wouldn't be the first time history has repeated itself in odd ways on this show though, right? Being Human airs Monday at 9:00 p.m. ET on Syfy.